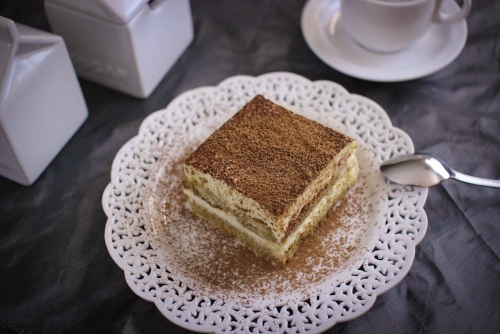 The epitome of Italian desserts is Tiramisu, hands down. It has such a great combination of flavors – coffee, chocolate, creamy and luxurious filling. It’s cool and rich and utterly perfect. For a summer dessert, Tiramisu is a great choice. It’s quick to assemble and no baking is required. Absolutely perfect, it you ask me. I usually make it the night before I am planning to serve it. The next day, I can forget all about dessert, relax on the beach or at the pool and invite friends over with this lovely sweet treat already waiting for us. 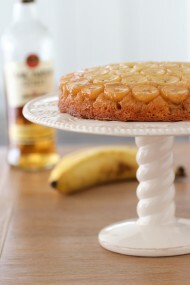 Combine the coffee and rum in a rimmed dish and set aside. You can also use Marsala wine or Coffee Liqueur instead of the rum, or omit the rum and use only coffee. You can dissolve some instant coffee or espresso in some water, if you don’t have any leftover coffee or don’t want to brew it. The coffee needs to be cold. Set up a heatproof bowl over a small saucepan. Pour in about an inch or two of water into the saucepan, making sure that the bottom of the bowl doesn’t touch the water. Bring the water to a boil, reduce the heat to a simmer. 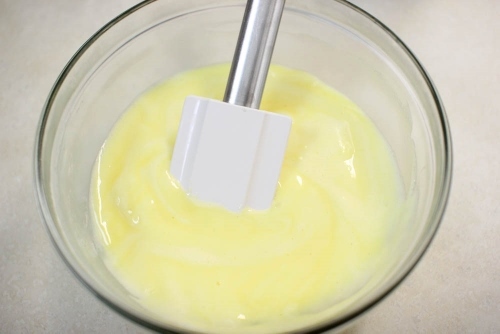 Combine the egg yolks and 1/4 cup of sugar in the bowl, whisking to combine, until the mixture is well combined. Pour in the half n half, and keep whisking for 7-10 minutes, until the mixture is cooked through and has thickened. Set aside to cool. Why are we making this custard? 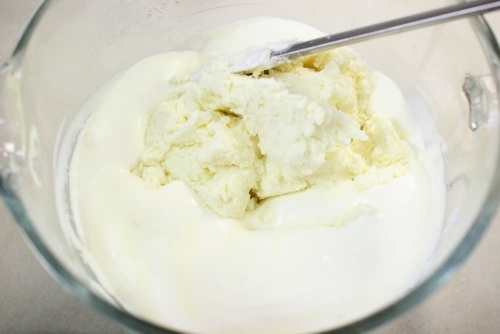 It will give the cream topping a luscious, velvety and really smooth texture. If you’d rather not do it, you can add 1 (8 oz) package of softened cream cheese to the mascarpone cheese, but the results won’t be the same. 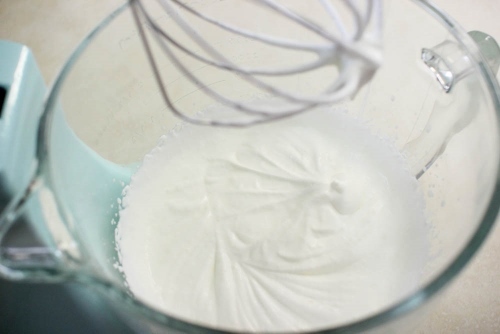 In a chilled bowl and using a cold whisk attachment and whip up the heavy cream, sweetening it with 2-4 Tablespoons of sugar, until soft peaks form. In another bowl, combine the mascarpone cheese and sugar. It should be easy enough to mix up the mascarpone and sugar with a rubber spatula. 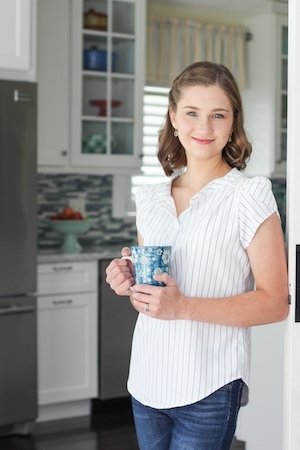 If not, mix it up using a hand mixer or a standing mixer. Be careful not to over mix it though. 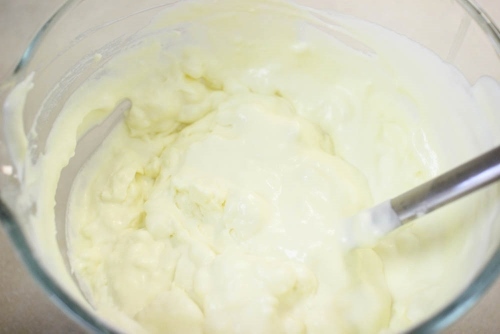 Add the cooled egg yolk mixture to the mascarpone. Add the vanilla and fold in the whipped cream. From this point you’ll start assembling the Tiramisu. I use a 13×9 inch rimmed glass baking dish. 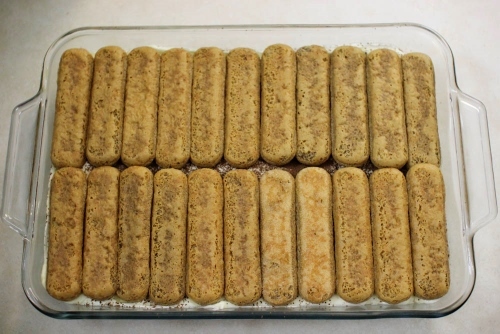 You will need the Italian lady fingers called savoiardi. They are light and very crisp. DO NOT use the soft lady fingers that are sometimes sold in the grocery stores. They will turn to mush and will not work for this recipe. I found this nice large package for a great price, and had plenty of left over lady fingers to have with my coffee and a week later when I didn’t have any baked goodies in the house:). A 14 oz package is perfect, with only about 6-8 cookies extra. 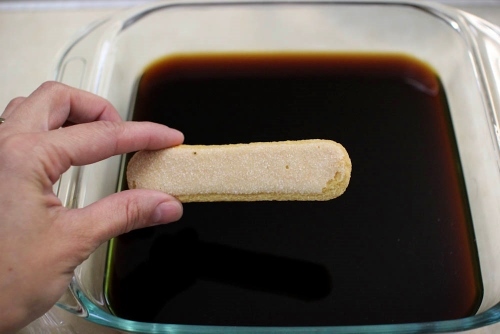 Dunk the lady fingers in the coffee and rum mixture, just 2-3 seconds on each side. Don’t turn the lady fingers to mush, you want the center of the lady finger to still be dry. As the Tiramisu stands, it will soften and be the perfect consistency. If the lady fingers are too wet, it will have a really unpleasant texture. Arrange the soaked lady fingers in one layer. You can have them all in one direction, or different directions, just make it fit. 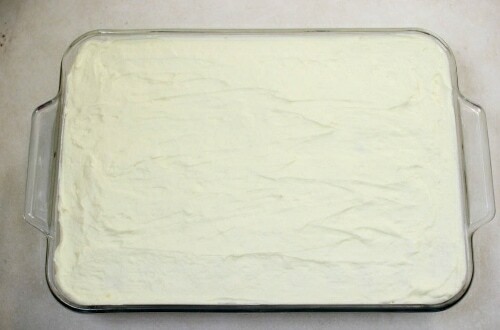 Spread half of the mascarpone mixture over the lady fingers. Dust it with cocoa powder. Repeat with another layer of lady fingers, dipping them in the coffee and rum mixture, arranging them in one layer and topping with the remaining mascarpone mixture. Spread it out evenly and dust with more cocoa powder. Chill for at least 6 hours before serving. 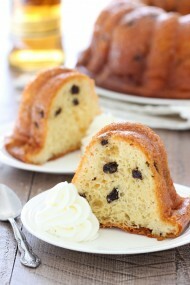 Combine the coffee and rum in a rimmed dish and set aside. 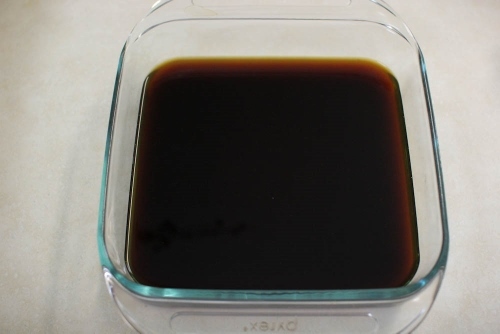 You can dissolve some instant coffee or espresso in some water, if you don't have any leftover coffee or don't want to brew it. The coffee needs to be cold. Set up a heatproof bowl over a small saucepan. Pour in about an inch or two of water into the saucepan, making sure that the bottom of the bowl doesn't touch the water. Bring the water to a boil, reduce the heat to a simmer. 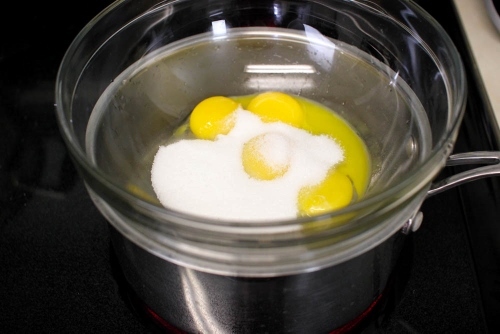 Combine the egg yolks and ¼ cup of sugar in the bowl, whisking to combine, until the mixture is well combined. Pour in the half n half, and keep whisking for 7-10 minutes, until the mixture is cooked through and has thickened. Set aside to cool. Why are we making this custard? 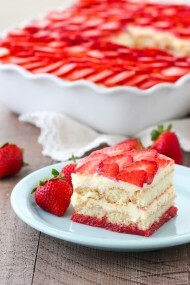 It will give the cream topping a luscious, velvety and really smooth texture. If you'd rather not do it, you can add 1 (8 oz) package of softened cream cheese to the mascarpone cheese, but the results won't be the same. In another bowl, combine the mascarpone cheese and sugar. It should be easy enough to mix up the mascarpone and sugar with a rubber spatula. If not, mix it up using a hand mixer or a standing mixer. Be careful not to over mix it though. 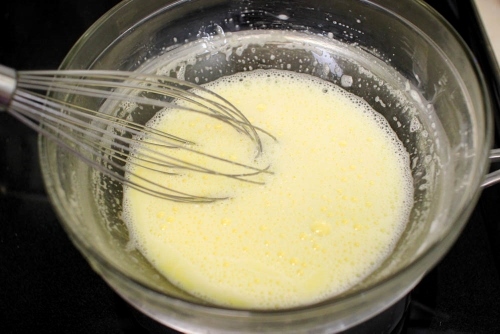 Add the cooled egg yolk mixture to the mascarpone. Add the vanilla and fold in the whipped cream. From this point you'll start assembling the Tiramisu. I use a 13x9 inch rimmed glass baking dish. 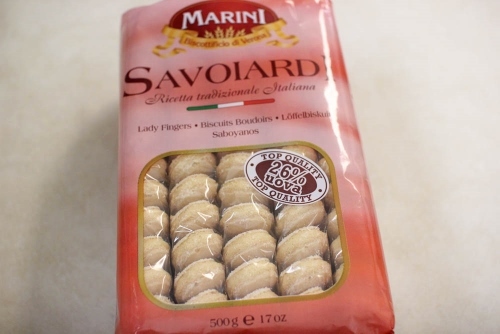 You will need the Italian lady fingers called savoiardi. They are light and very crisp. DO NOT use the soft lady fingers that are sometimes sold in the grocery stores. They will turn to mush and will not work for this recipe. Dunk the lady fingers in the coffee and rum mixture, just 2-3 seconds on each side. Don't turn the lady fingers to mush, you want the center of the lady finger to still be dry. 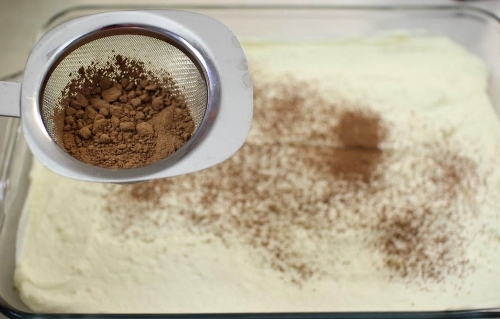 As the Tiramisu stands, it will soften and be the perfect consistency. If the lady fingers are too wet, it will have a really unpleasant texture. 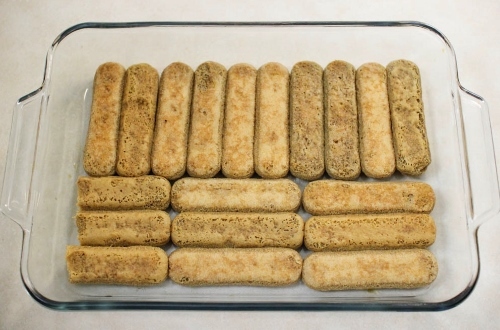 Arrange the soaked lady fingers in one layer. You can have them all in one direction, or different directions, just make it fit. 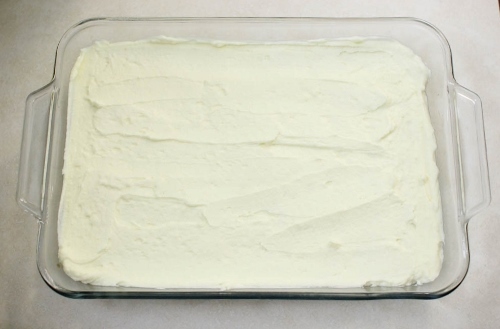 Spread half of the mascarpone mixture over the lady fingers. Dust it with cocoa powder. Repeat with another layer of lady fingers, dipping them in the coffee and rum mixture, arranging them in one layer and topping with the remaining mascarpone mixture. Spread it out evenly and dust with more cocoa powder. Chill for at least 6 hours before serving. Eating baked goods is great, but I don’t have too much patience for baking and it tends to frustrate me, so I only baked once or twice a week, unless there’s some special occasions going on. However, sometimes I can get into a baking mood and bake days in a row. 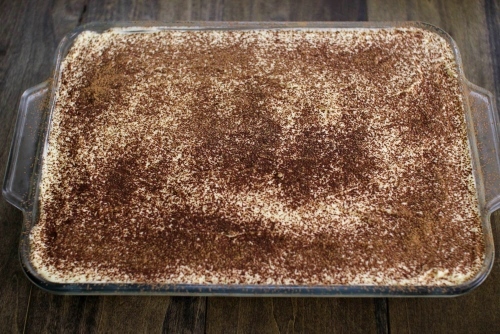 I have been looking for an easy Tiramisu recipe, this one looks quick and delicious! 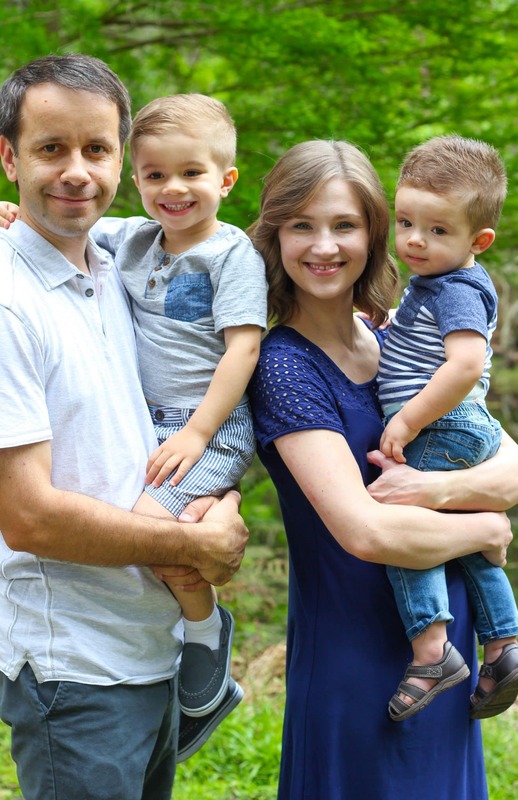 Thank you for posting, Olga! Instead of doing coffee and rum, would it be possible to use Kahlua instead? I’m not exactly sure. Is Kahlua sweet? If it is, dilute with with regular coffee, since the dessert will be too sweet. Otherwise, it will work. Yummy! Looks so delicious. My sister in law makes this with graham crackers and it tastes good. Instead of dunking the lady fingers in coffee, I use a pastry brush and wipe the coffee on top of the lady fingers, this way they do not get too soggy. Yep, that’s certainly another great way of doing it, Lesia. I prefer dunking the lady fingers, and as long as you do it quickly, the lady fingers won’t get too soggy. Oooh, yumm! I haven’t made Tiramisu in a long time. where can i purchase these lady fingers? I’ve seen them in most grocery stores in our area. Look in the cookie aisle or the international aisle, Viktoriya. For some reason the store I went to had them in the produce section. Just made it :). The cream tastes good, I hope the finished product tastes as good. I have been looking for this quick recepie for a while. I’m so glad you were pleased with the cream. We really like it too, Tanya. This was yummy! Thanks for a great tiramisu recipe. That’s great, Julie! It’s always so nice to hear that a recipe that we love is enjoyed by other families too:). hey Olga:) for the mascarpone cheese, how much is that in oz? my store on’y sells the soft version in small 8oz packages. can I make beskvit cake instead of using lady fingers? thanks dear! I would suggest using lady fingers instead of making a sponge cake. It will work, of course, but Tiramisu is made from lady fingers. 1 lb = 16 oz. You will need 3 containers. 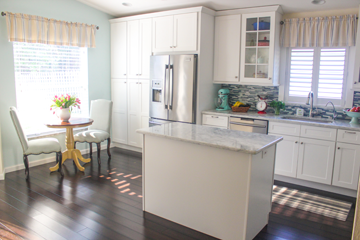 Thanks, Oksana, for such awesome feedback! I’m thrilled to hear that you liked it. Hi, Just want to let you know that I’m in process of making the tiramisu. As the previous reviewer wrote it took me almost 30 minutes for the custard to thicken. In your recipe at the beginning of the post you say to use 6 egg yolks (which is what I used), but in your recipe box you say to use 4 egg yolks. So which is it? I went with more, since I wanted more cream. Just wanting clarification though. I’ll let you know how the rest of the cake turns out when we try it. Sorry about the confusion. I’ve made it with both 4 and 6 egg yolks and they both turned out really well. The eggs will not become thick like a pudding, just slightly thickened. The mixture will thicken more as it cools. I didn’t have any issues whenever I made this Tiramisu. However, if it gives you a hard time, you can simply omit it. Follow the instructions that I have written in the recipe; I wrote how to make the mascarpone mixture without the custard. The cake was good though, even my kids loved it, it was eaten very very fast. So thanks for the recipe. I’ll try to shop around for the cheaper mascarpone and will certainly make this recipe again. where can I find mascarpone cheese?? Veronika, I found mine at Krogers, but I have seen it at Target and Sprouts too. Its usually where the specialty cheeses are. I paid $12. Hope that helps! Mascarpone cheese is sold in the dairy section of the store, usually with other specialty cheeses. One question I had about the tiramisu recipe was what type of rum did you use? The flavor of rum is very different from one bottle to the next and wanted to take suggestions. Let me know!! Thank you. Thanks, Violet! You can use any rum that you like, or even cognac, brandy or coffee liqueur. I usually buy Bacardi Gold Rum, because that’s the one that’s usually available. That’s wonderful, Ilona! I’m thrilled to hear that you were pleased with the results. Hi Olya I made this cake today. 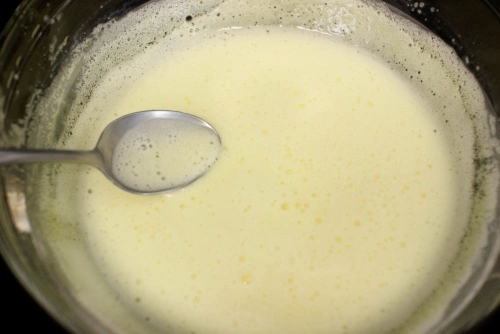 I had no problem with thickening the custard but I’ve made it once or twice before so I had little experience. I also used your recipe for perfect sponge cake and loved it! I used it instead of lady fingers. Oh and I got mascarpone cheese from trader joes for $2.99/8 oz.. hope this helps some ladies out there looking for alternatives. Thanks again..
Made this cake today, it’s very fast and easy to make and really delicious at the same time. Loved it! That’s awesome, Nelya. I’m happy to hear such awesome feedback. Olga how come you don’t mix the cheese and sugar with the mixer? Is it because it’s so light? Yes. 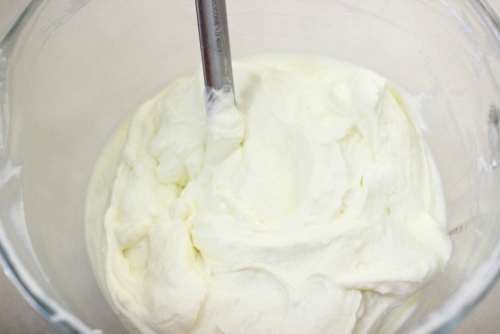 It’s too easy to overheat the tender mascarpone by using a standing mixer. I wouldn’t do it more than 2 days in advance, Alice. This tiramisu is the BEST!!! Olga you are amazing!! Thank you for sharing this recipe with us!! Hello Olga, I am making this cake the first time and my cream is runny. I probably over mixed the mascarpone. What can I do now? I’m not sure how you would be able to fix that, Alyona. If it’s too runny you will most likely have to start over. You could try to chill it in the refrigerator to see if it will firm up. I assembled it anyways left in fridge over night it got better but not as supposed to be. Do u think it happened because I mixed the mascarpone with mixer or something else? Also the heavy whipping cream wasn’t really whipped it turned into chunks. Can I use cool whip instead? If the whipped cream turned into chunks, that means that you over mixed it. The chunks that you saw were pieces of forming butter. You can use Cool Whip instead, if you’d like. Thank you so much, I will try it again. Hi Olga! Thanks for great and easy to follow recipes!!! Good luck cooking for the wedding! If you follow the directions exactly, the cake should be firm enough. If I were you, I would practice making the cake before the wedding, just to make sure it’s going to be the way you want it to be. I cut the cake with a sharp knife and use a very thin metal spatula to take it out of the pan. Hi Olga! Just made Tiramisu from ur recipe. It’s sooo yummy! Can’t stop eating it. 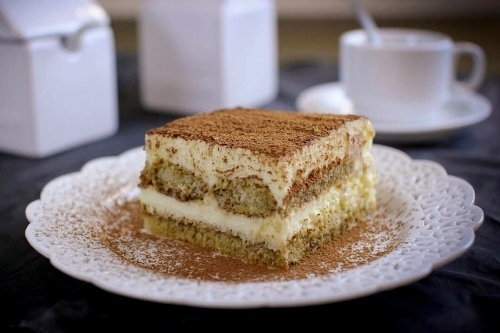 Really similar with tiramisu from Italian restaurant. So kind of you to share the best part from this tiramisu recipe which is Custard! It’s really make a big difference. I’m just wondering do you know if your tiramisu recipe would be okay for pregnant woman? I’m so happy you liked the Tiramisu, Paramitha. Instead of using raw yolks, you can use pasteurized egg product to make it safe for pregnant women. Wow! That’s awesome, Luda. Thank you for taking the time to write. I made this today, it was simple to make and everything seems to have turned out great except that I have about half of the coffee/rum mixture left over. Do you usually use up the entire batch? I’m very curious because it seemed like I dipped the ladyfingers enough, 2 seconds per side. That said, the tiramisu looks great and I can’t wait to taste it tomorrow as we celebrate my birthday 🙂 Thanks for the recipe Olga. I hope you had a wonderful celebration. That is normal to have some of the coffee/rum mixture left over. You wouldn’t be able to properly dunk the lady fingers in it if there was less. I should have written that in the instructions. I hope you enjoyed the Tiramisu. Made this cake yesterday. Having it for breakfast today 🙂 it is SO GOOD!! Very smooth and such a large amount of it came from this recipe we will be eating it all week 🙂 THANKS FOR SHARING!! I’m thrilled to hear that you enjoyed the Tiramisu, Erica. Having a serving for breakfast sounds perfect:). Also wanted to share I went to Fred Meyers to look for mascarpone cheese it was $5.50 for 8 oz.. I thought thats too expensive for 3 cans. So I went to wince foods and they sell 1lb cans for $5, I used two of them.. so I had a little extra mascarpone for less of what I would have paid at Fred Meyers. You’re totally right, Erica. Mascarpone cheese is twice more expensive in some stores than in others. Hey Olga, I made this for my hubby’s birthday today, it turned out really good! We both loved it:) thanks. For the recipe! Just a FYI espresso doesn’t have an x in it. That’s great, Natasha! I’m so glad you enjoyed that. Thanks so much for pointing out the typo:). Olga! Just made this cake for husbands 35th birthday! Everyone loved it! So moist and delicious! Definitely a keeper in our family! Thank you so much! I’m so happy to hear that, Dina. Thanks for taking the time to write.